Spending less time in the vehicle and getting out and about to enjoy the wonderful scenery is always an option on any driven tour! In addition to a range of walks available in the Elan Valley, the Cambrian Mountains offer the opportunity to explore the rediscovered 17th century walks at Hafod near Devils Bridge. 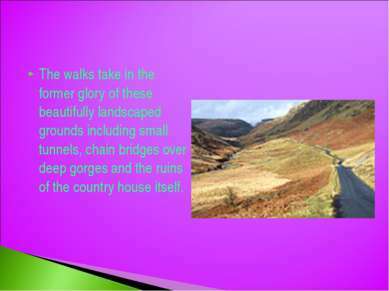 The walks take in the former glory of these beautifully landscaped grounds including small tunnels, chain bridges over deep gorges and the ruins of the country house itself. 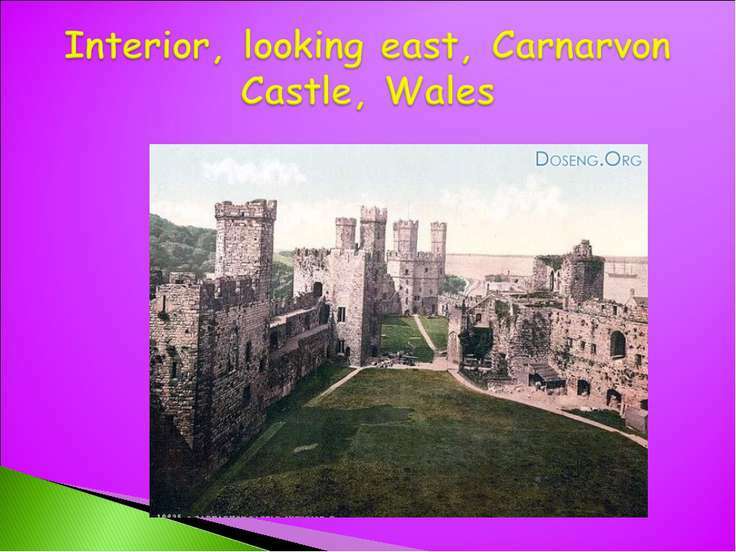 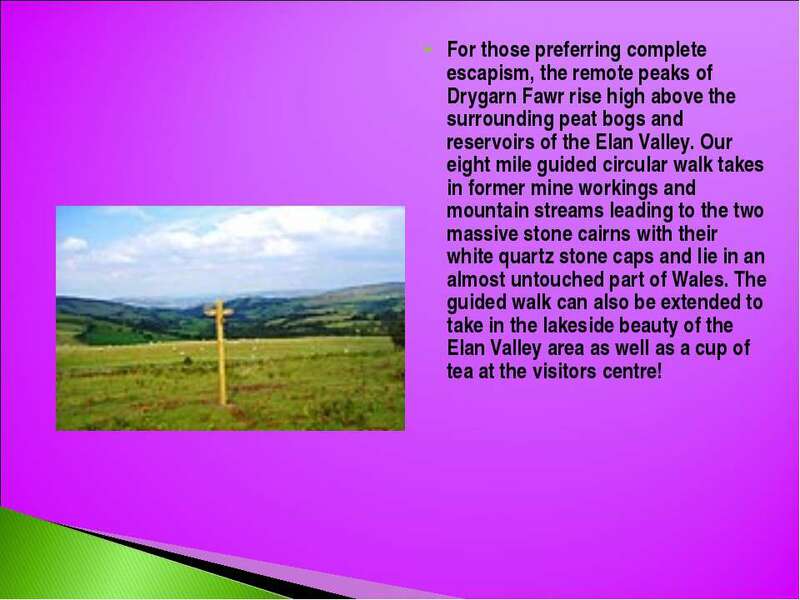 further south there is the opportunity to discover the ruins of the former Cistercian abbey at Strata Florida in the most picturesque of locations or perhaps the abundant wildlife on the Cors Caron wetland area just outside Tregaron with its amazing boardwalks and bird hides. 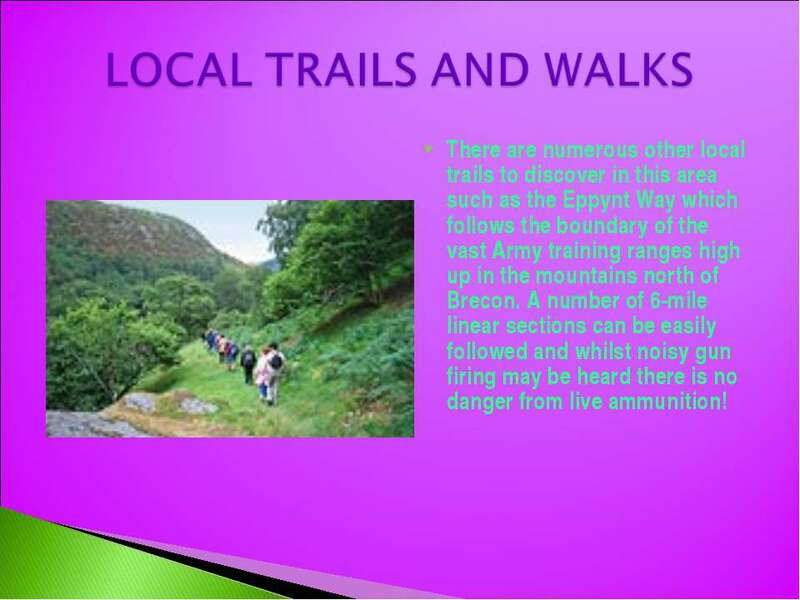 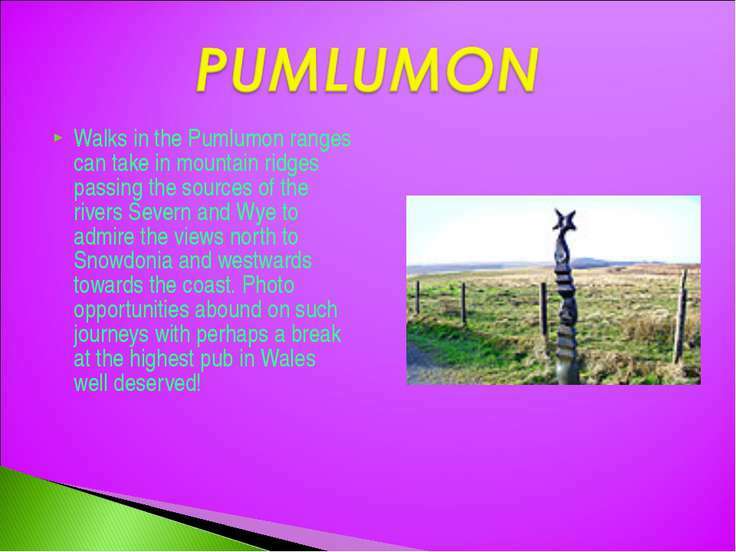 Walks in the Pumlumon ranges can take in mountain ridges passing the sources of the rivers Severn and Wye to admire the views north to Snowdonia and westwards towards the coast. 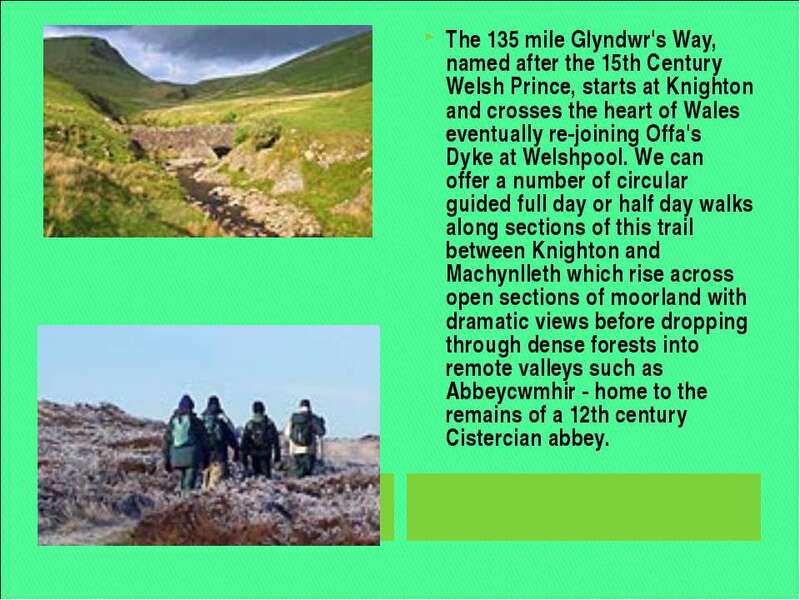 Photo opportunities abound on such journeys with perhaps a break at the highest pub in Wales well deserved! 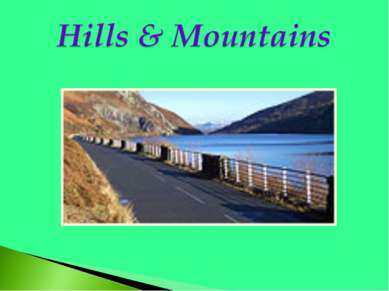 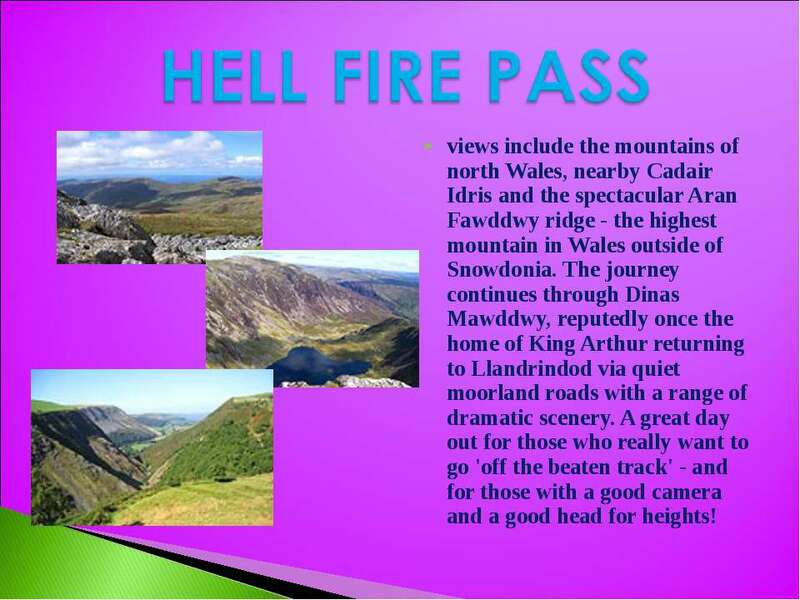 views include the mountains of north Wales, nearby Cadair Idris and the spectacular Aran Fawddwy ridge - the highest mountain in Wales outside of Snowdonia. 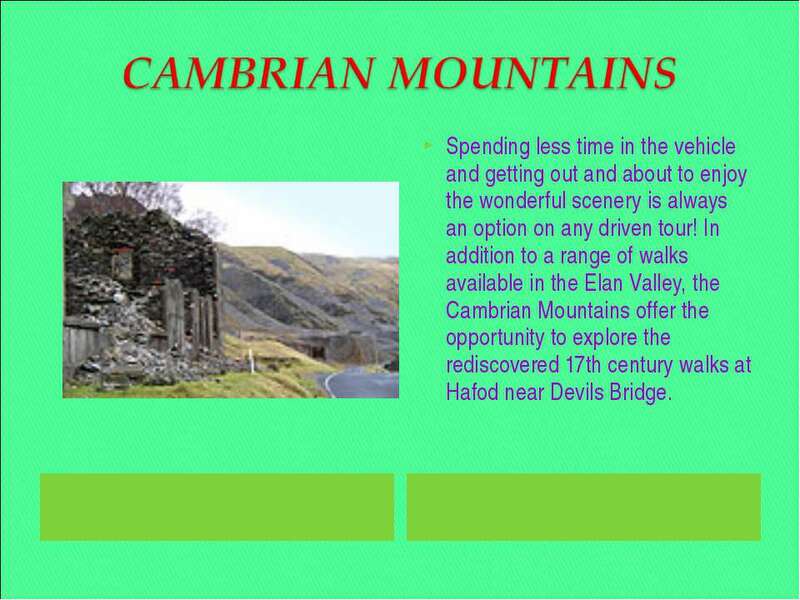 The journey continues through Dinas Mawddwy, reputedly once the home of King Arthur returning to Llandrindod via quiet moorland roads with a range of dramatic scenery. A great day out for those who really want to go 'off the beaten track' - and for those with a good camera and a good head for heights! This feat of Victorian engineering consists of 5 reservoirs constructed to provide water - by gravity alone - to Birmingham via a pipeline 118km long. 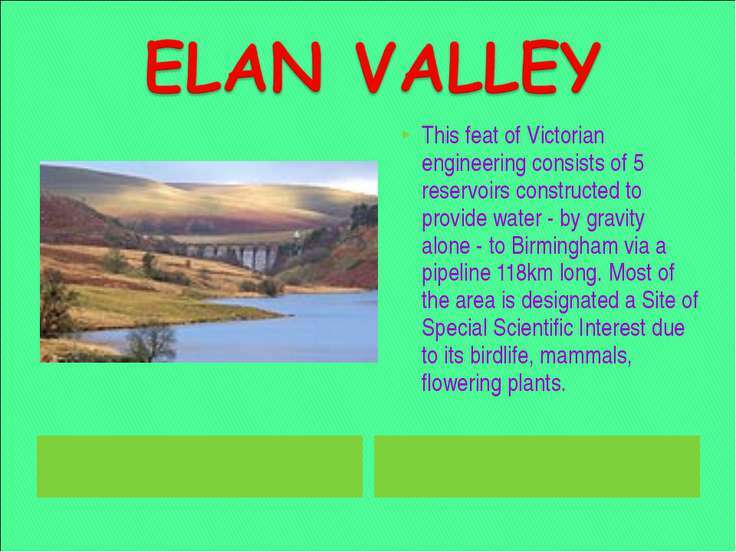 Most of the area is designated a Site of Special Scientific Interest due to its birdlife, mammals, flowering plants. 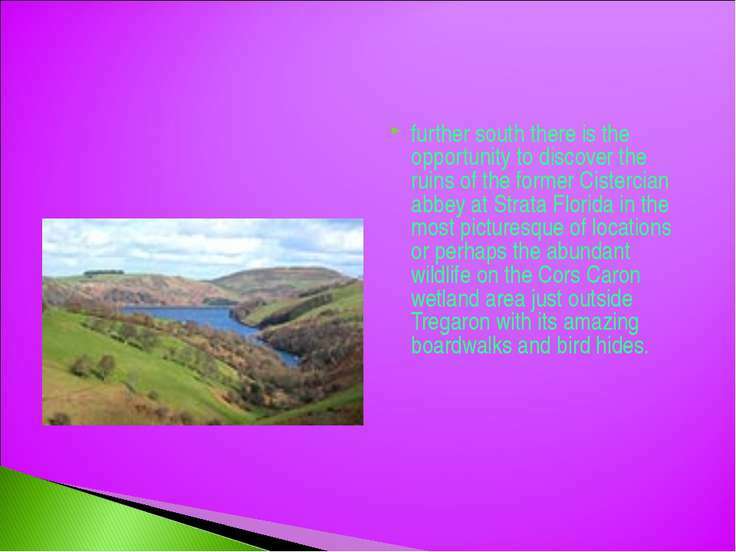 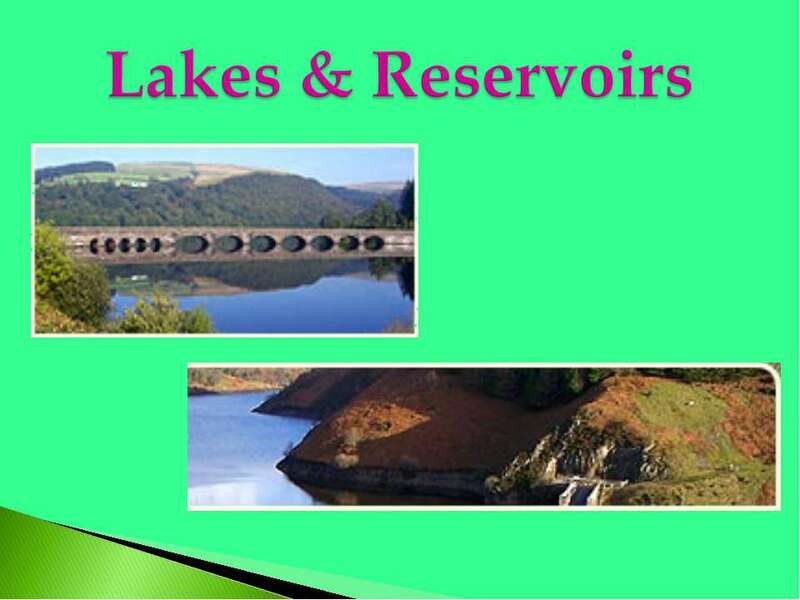 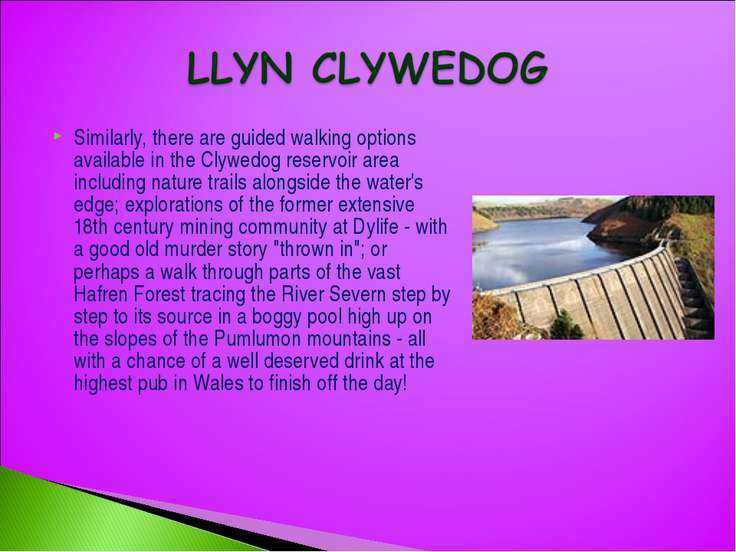 Similarly, there are guided walking options available in the Clywedog reservoir area including nature trails alongside the water's edge; explorations of the former extensive 18th century mining community at Dylife - with a good old murder story "thrown in"; or perhaps a walk through parts of the vast Hafren Forest tracing the River Severn step by step to its source in a boggy pool high up on the slopes of the Pumlumon mountains - all with a chance of a well deserved drink at the highest pub in Wales to finish off the day! 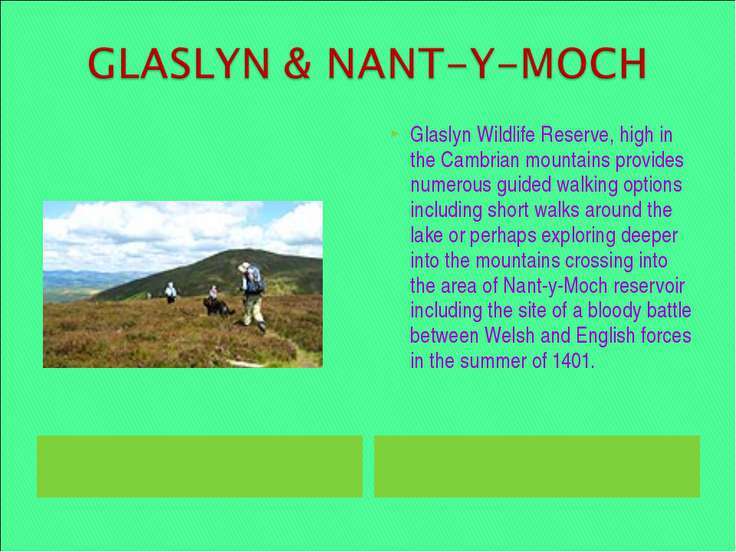 Glaslyn Wildlife Reserve, high in the Cambrian mountains provides numerous guided walking options including short walks around the lake or perhaps exploring deeper into the mountains crossing into the area of Nant-y-Moch reservoir including the site of a bloody battle between Welsh and English forces in the summer of 1401. Cistercian abbeys combined with a scenic drive across the Cambrian Mountains or visit some of the hidden black and white churches of old Radnorshire. 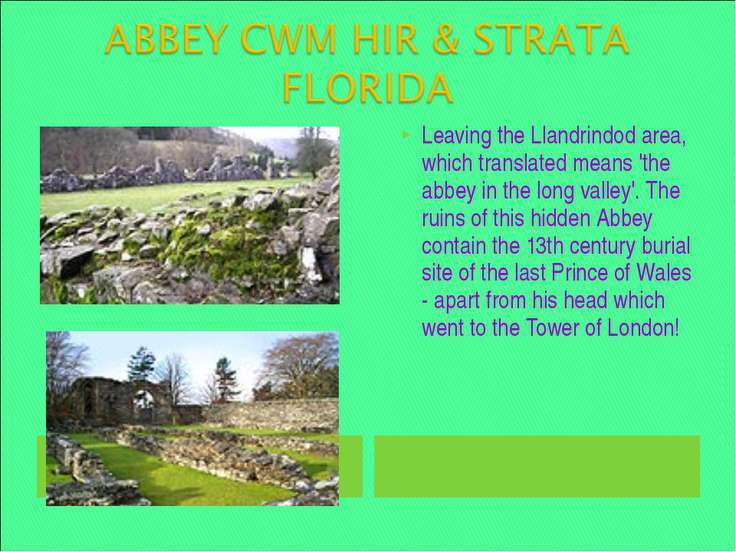 Leaving the Llandrindod area, which translated means 'the abbey in the long valley'. 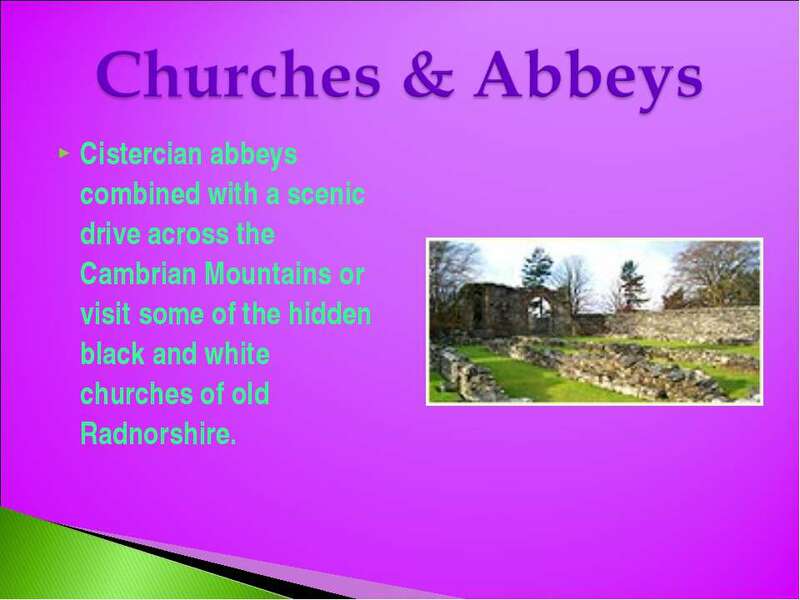 The ruins of this hidden Abbey contain the 13th century burial site of the last Prince of Wales - apart from his head which went to the Tower of London! 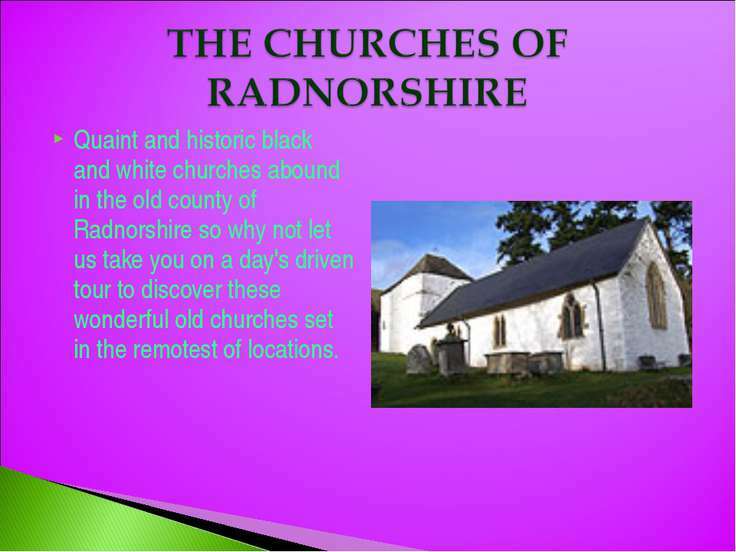 Quaint and historic black and white churches abound in the old county of Radnorshire so why not let us take you on a day's driven tour to discover these wonderful old churches set in the remotest of locations. 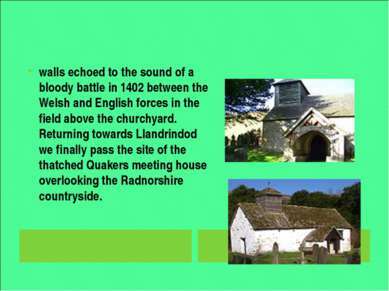 walls echoed to the sound of a bloody battle in 1402 between the Welsh and English forces in the field above the churchyard. 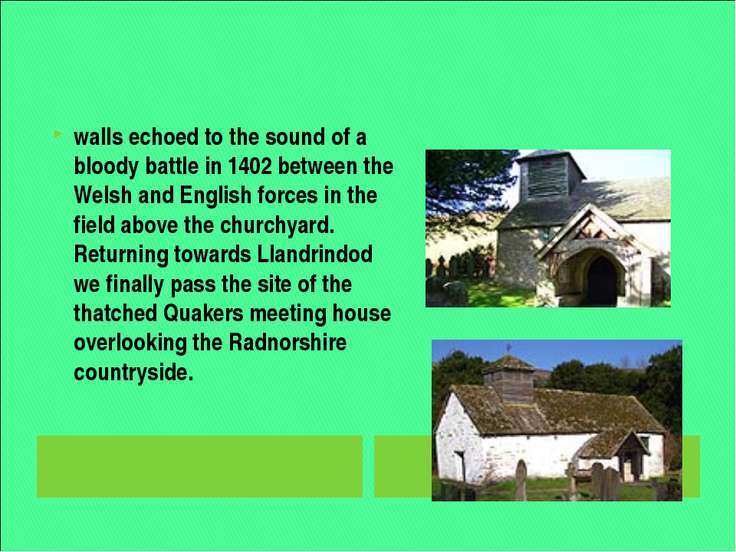 Returning towards Llandrindod we finally pass the site of the thatched Quakers meeting house overlooking the Radnorshire countryside. 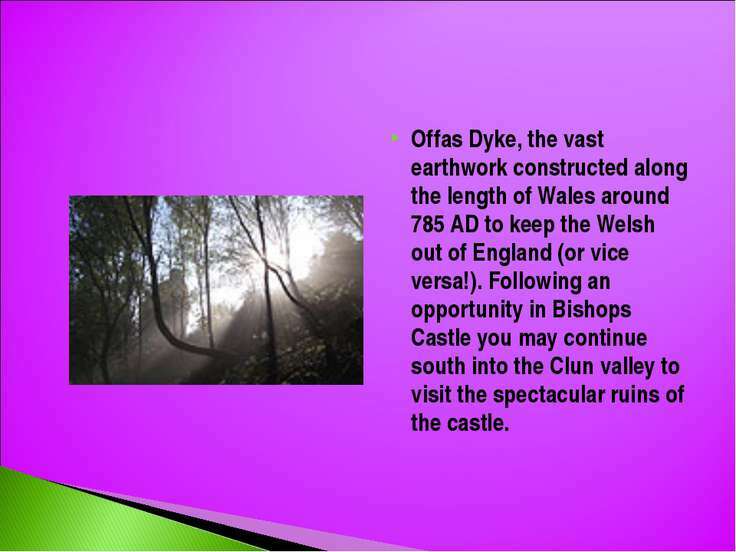 Offas Dyke, the vast earthwork constructed along the length of Wales around 785 AD to keep the Welsh out of England (or vice versa!). 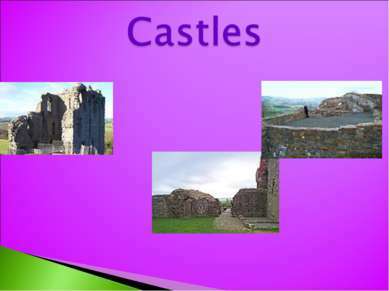 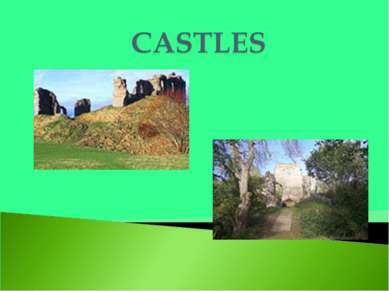 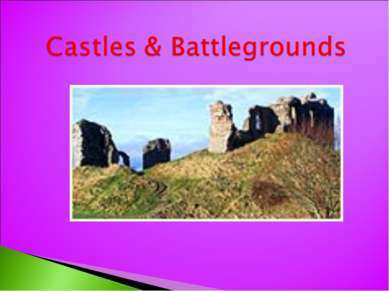 Following an opportunity in Bishops Castle you may continue south into the Clun valley to visit the spectacular ruins of the castle. 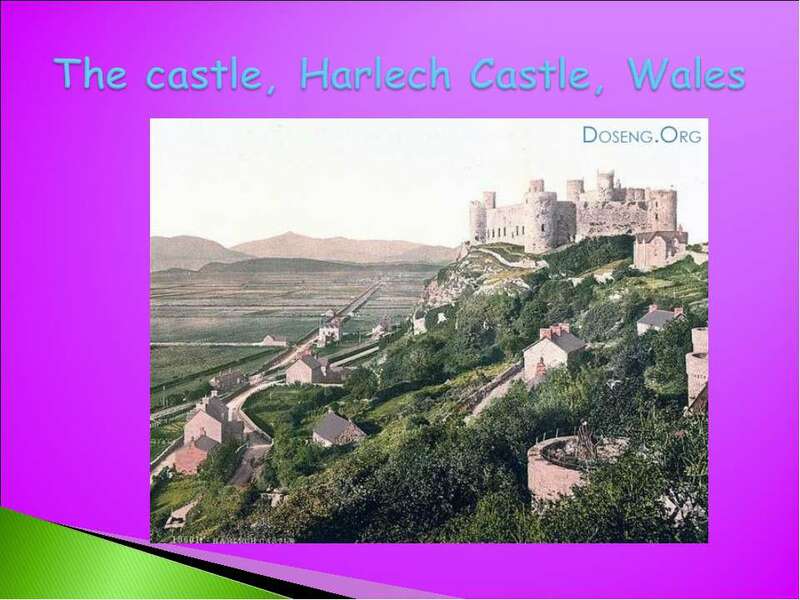 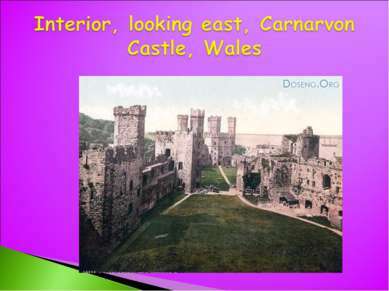 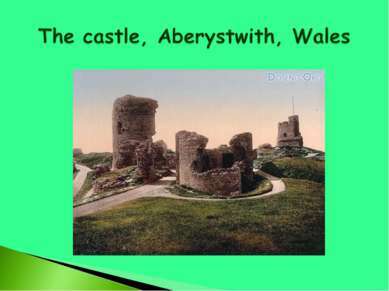 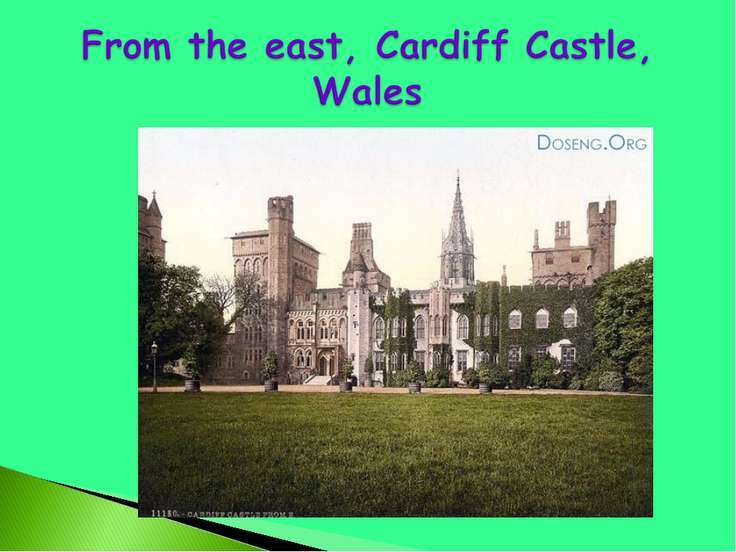 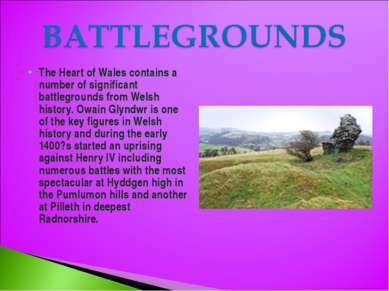 The Heart of Wales contains a number of significant battlegrounds from Welsh history. Owain Glyndwr is one of the key figures in Welsh history and during the early 1400?s started an uprising against Henry IV including numerous battles with the most spectacular at Hyddgen high in the Pumlumon hills and another at Pilleth in deepest Radnorshire. 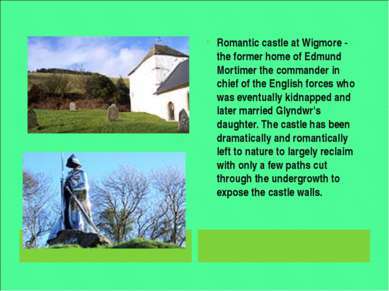 Romantic castle at Wigmore - the former home of Edmund Mortimer the commander in chief of the English forces who was eventually kidnapped and later married Glyndwr's daughter. The castle has been dramatically and romantically left to nature to largely reclaim with only a few paths cut through the undergrowth to expose the castle walls. Offas's Dyke, the vast 8th century earthwork runs for 177 miles along the length of the Welsh / English border. 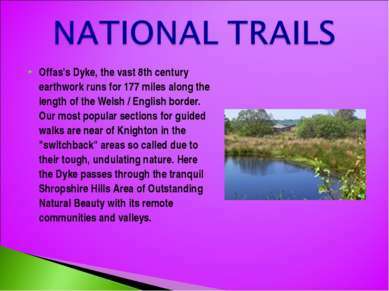 Our most popular sections for guided walks are near of Knighton in the "switchback" areas so called due to their tough, undulating nature. 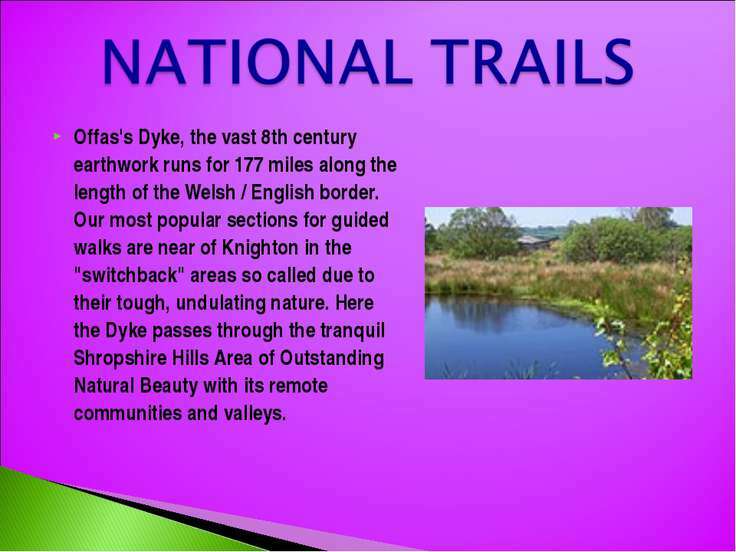 Here the Dyke passes through the tranquil Shropshire Hills Area of Outstanding Natural Beauty with its remote communities and valleys. The 135 mile Glyndwr's Way, named after the 15th Century Welsh Prince, starts at Knighton and crosses the heart of Wales eventually re-joining Offa's Dyke at Welshpool. We can offer a number of circular guided full day or half day walks along sections of this trail between Knighton and Machynlleth which rise across open sections of moorland with dramatic views before dropping through dense forests into remote valleys such as Abbeycwmhir - home to the remains of a 12th century Cistercian abbey. 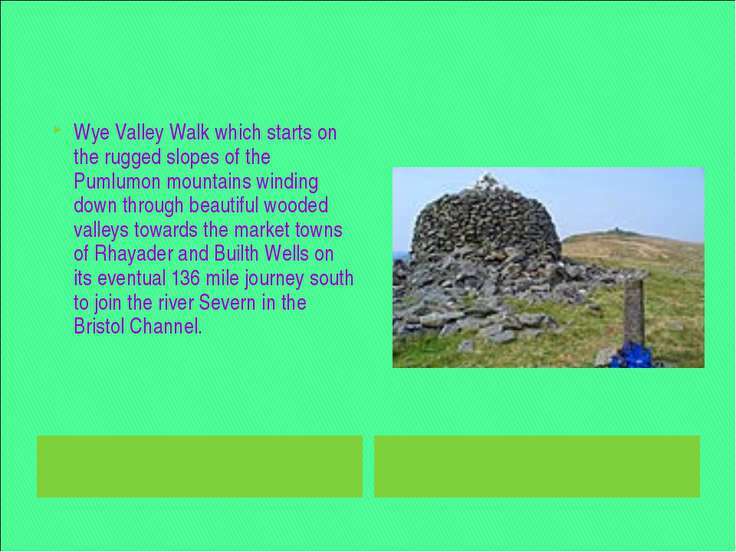 There are numerous other local trails to discover in this area such as the Eppynt Way which follows the boundary of the vast Army training ranges high up in the mountains north of Brecon. A number of 6-mile linear sections can be easily followed and whilst noisy gun firing may be heard there is no danger from live ammunition! Wye Valley Walk which starts on the rugged slopes of the Pumlumon mountains winding down through beautiful wooded valleys towards the market towns of Rhayader and Builth Wells on its eventual 136 mile journey south to join the river Severn in the Bristol Channel. For those preferring complete escapism, the remote peaks of Drygarn Fawr rise high above the surrounding peat bogs and reservoirs of the Elan Valley. Our eight mile guided circular walk takes in former mine workings and mountain streams leading to the two massive stone cairns with their white quartz stone caps and lie in an almost untouched part of Wales. The guided walk can also be extended to take in the lakeside beauty of the Elan Valley area as well as a cup of tea at the visitors centre! 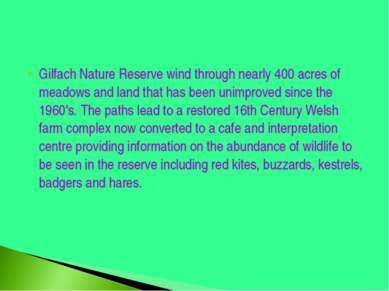 Gilfach Nature Reserve wind through nearly 400 acres of meadows and land that has been unimproved since the 1960's. The paths lead to a restored 16th Century Welsh farm complex now converted to a cafe and interpretation centre providing information on the abundance of wildlife to be seen in the reserve including red kites, buzzards, kestrels, badgers and hares. This 15 mile linear route at 1,000 ft follows one of the most ancient high trackways in Britain whose origins are lost in the mists of time and pre-dates the Iron Age earthworks along the route. 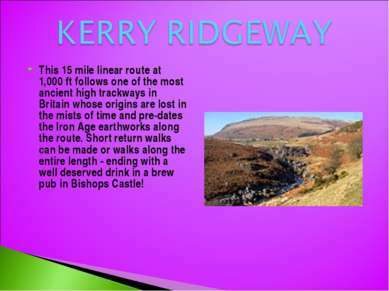 Short return walks can be made or walks along the entire length - ending with a well deserved drink in a brew pub in Bishops Castle! 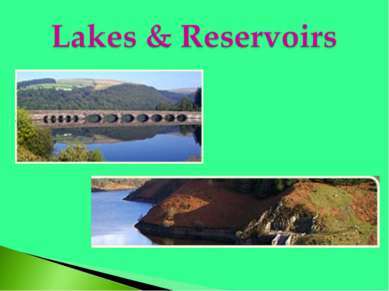 Source of the river Severn - the longest river in Britain. 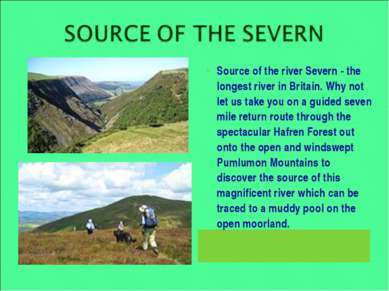 Why not let us take you on a guided seven mile return route through the spectacular Hafren Forest out onto the open and windswept Pumlumon Mountains to discover the source of this magnificent river which can be traced to a muddy pool on the open moorland.